Last view: 1080 days Hello again, i've been inactive for a while. watch 0:13, is that stupid lasers sound. Is there a way to fix that? Last view: 69 days It could be the enemy placement problem. That means it is not at the specific order. Last view: 1080 days I know that you can't delete the objects 25 and 27, but... that means i can't remove the lasers?. Last view: 69 days It's best not to use Visine to add and place enemies. Use Rock2edit from Rock5easily. HUFF gave it to me on time! YES it's in Japanese but it's very easy to use. No Japanese language required. Rock2Edit ACTUALLY detect enemy ordering. 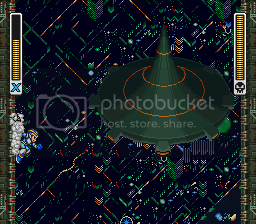 I know, visine was the cause of the glitches of my game so i'm not using it anymore(except for the sprite graphics, i know how edit them with hex but it's complicated for me). I'm already using Rock2editor but the bug still. it's possible to fix that with the events? Last view: 69 days It's possible to remove the quick laser beams without the editor but it's just 1 enemy for each room. Let's see what I can do. It's possible to remove the quick laser beams without the editor but it's just 1 enemy for each room. Let's see what I can do. In other news, i'm not sure if this has been posted before, but... i've collected some boss pattern information sometime ago, is not complete. but i'm still searching for the wily bosses. x2cc3f (04) speed of Metal blade. x2CC29 (23) Sound for metal blade. x2CC1d (06) Metal blade frequency?. x2CD07 (27) change to 17 and he's always jumping. x2CDEE (06) speed of crash bomb. x2C882 (??) boomerang delay when appearing. x2C887 (04) Boomerang speed when appearing. x2C70B (FF) Bubble man landing speed. x2C6D3 (01) Bubble man Rising speed. x2C5A9 (04) Leaf shield speed. x2C553 (04) Number of falling leafs(?). x2C576 (02) Falling Leaves movement(horizontal?). x2C567 (20) Y pos. for falling leaves. x2CA52 (06) projectile shooting frequency. x2CA09 (06) Number of projectiles to shoot. i will post air man and heat man later because i haven't found all the data. How do i can make separate graphics for each level in the marked part. is there a offset that changes the gfx set for each level? Last view: 69 days It's been a while, but it all depends on the header. And each level has a different rom address. But I can't remember where the GFX is located in the RAM to find it for each level. Also, a gift from Tsurara. Does anyone know the offset for change them. (For all the stages, i mean). Rockman 2, not Mega Man II. I normally do not want to repost anything from Rockman Japanese rom hackers but I'll delete it off the uploader just in case they are not approved. Description: For Rockman 2, not Mega Man II. Allows to switch weapons using the SELECT BUTTON. Hold DOWN + SELECT to reverse. I will do the same for Mega Man II (U) someday but it's pretty difficult to do a conversion due to JMP, JSR, LDA and Bankswitch issues. Last view: 69 days @HUFF Don't you EVER upload a single 1KB IPS Patch to MegaUpload. MegaUpload is not one of my favorites. Upload it here at Board 2 or MediaFire. As I said in my previous posts. RAM $32 and $33 reads TSA Solidity data for each level. @Everyone New Version of Rockman Cross is released by Tsurara. Last view: 87 days HUFF, your level design looks very good. I like how the random intervals of lightning light up the path, and how you used more colors in Flash Man's stage, with those acid drops hanging from the blocks and spikes. Very nice level craftsmanship there. I look forward to seeing more. @HUFF Don't you EVER upload a single 1KB IPS Patch to MegaUpload. MegaUpload is not one of my favorites. Upload it here at Board 2 or MediaFire. As I said in my previous posts. hope you can finish your game soon. I actually finished heat and wood but i'm losing the interest in mega man hacking D:, i'm stuck in wily 1 and i have no idea what to do there. Wait! you have been working in that for 5 years!?!? i never hacks mm3 or 4, i wanted to hack mm6 but there isn't too much hacking information about 6 because it's hard to edit even with a level editor. 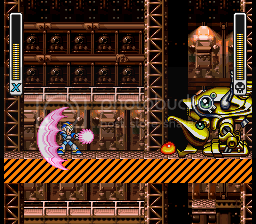 I know I made a lot of fake screenshots during the videos with Mega Man X Custom music, and I know that there IS a Mega Man X Editor. Is Tsurara's Screenshots are real? If so, then he's proberly good at making the X series. MySQL - queries: 96, rows: 136/0, time: 0.165 seconds.